Hello everyone! 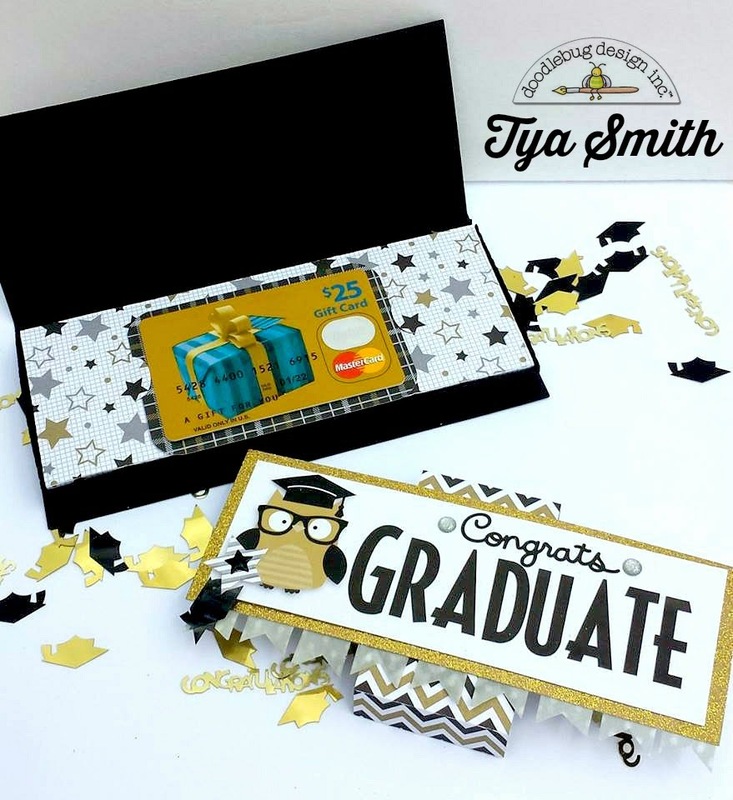 As the school year is winding down, our graduates are getting ready to get their diplomas and make their way into the real world- What better way to show your love and support for all their hard work than by giving them a little cash! 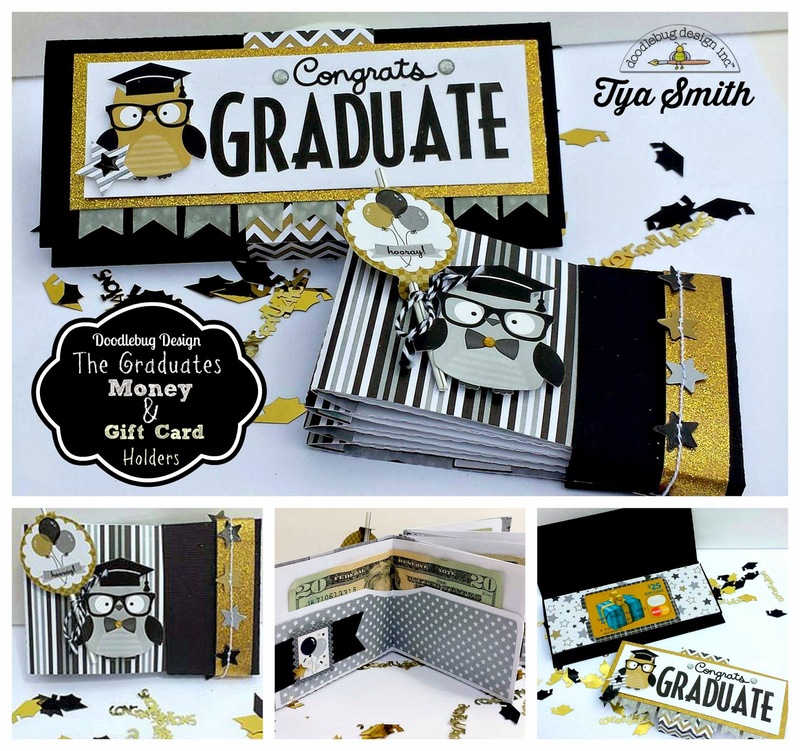 Today I wanted to share with you a gift card and money holder that I cut out with my Silhouette and used the super darling The Graduates line for the paper and embellishments for these fun paper crafts. First up is this darling 3d Box that holds a gift card. The star papers were one of my favorites to use and the golden owl - how fun is he with his little glasses! Add a pop of gold sugar coated cardstock and you have an eye catching gift card holder they will love! I really fell in love with this money holder! I comes like a little booklet with 4 money envelopes that you add into the center. I added a little bit of the Graduation Mini Garland on the end of the cover for a little sparkle! 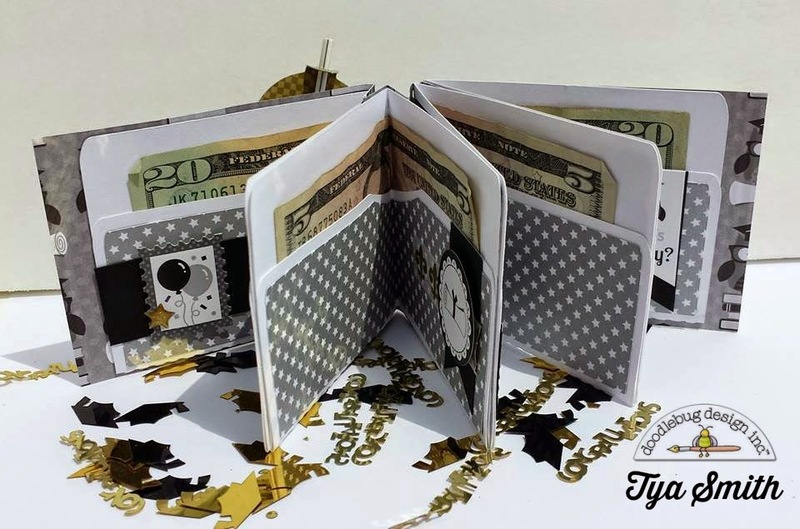 Thanks for stopping by and checking out this fun set of money and gift card holders! I love using my electronic die cutting machine to make fun gifts for my loved ones! Give these a try - I know who ever gets them will love them! The box is a Silhouette cameo file while the mini cards were put together using two different sized circle punches. Here's what I made. LOTS of COOL and CRAFTY DELIGHTS today!!! They're ALL FABULOUS, I have SO MUCH to pin for inspiration - THANK YOU for sharing!!! ... AND a HUGE favour to ask of Tya and Sharm - can you please share some tutorials with dimensions for us one day, please? 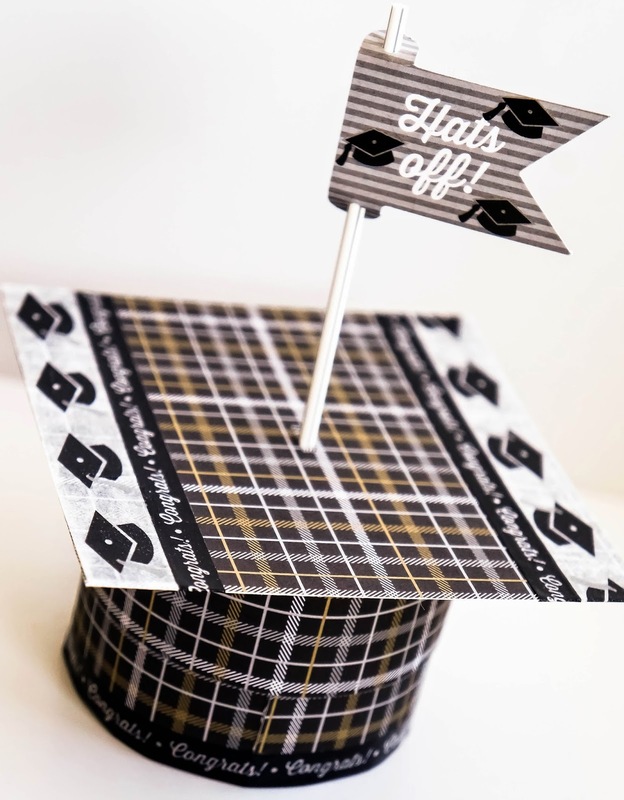 Wow, what super clever and sharp grad gift card holders! I love them and with this fabulous paper collection, you can't go wrong! A+!! Tya & Sharm...these are fabulous!! I pinned the GORGEOUS new Sprinkles Vellum and Sugar Coated Cardstock - LOVE LOVE LOVE them ALL!!! I pinned the pretty new Sprinkles - LOVE the dots, stars and arrows!!! These gift ideas are fabulous!!! Thank you! I think these gift ideas are so cute. I pinned them to my board so that I can make them! Love the owls!